Castor Oil Home Remedies For Hair. Castor oil is one the best natural ingredients for hair care today when most people are suffering from problems like hair thinning, breakage, hair fall, dandruff and stunted hair growth. Castor oil is loaded with anti-bacterial and anti-oxidant properties that include vitamins and omega 6 and 9 fatty acids that help in keeping the hair shinier and stronger. 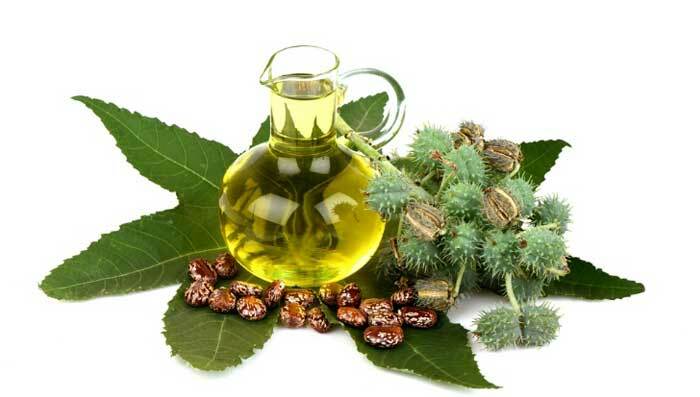 Also known popularly as Ricinus communis, castor oil for hair fall control has been used by people over generations successfully overcoming scalp infections, preventing premature graying and deeply nourishing the hair. There are several home remedies that one can churn out easily using castor oil that naturally help in overcoming the problem of hair fall that plagues many individuals today. Few of them are listed below. This mask of coconut and castor oil for hair loss treatment is probably one of the best methods to get rid of the problems as both the ingredients help strengthening the roots and follicles of hair, making them strong and sturdy. If you are wondering how to use castor oil for hair fall, this is probably one of the best ways as the ingredients can be used on all kinds of hair types- from oily to dry to normal. Milk helps in providing hydration and moisturization to the scalp, cleaning it of any harmful toxins and thereby getting rid of free radicals. Castor oil can naturally condition the hair, making them stronger from the roots. It also helps in healthy growth of hair cells. Using castor oil for hair loss treatment is the best thing anyone can do. And adding fenugreek with this wonder oil will ensure strong and long hair, free of any problems. Fenugreek helps in preventing premature graying as well as keeps the scalp free of infections. Indian gooseberry or amla and castor oil for hair loss treatment can make sure you get rid of hair fall problem in no time. Amla is one of the most widely used hair care products and helps in keeping the scalp infection free, making hair follicles strong and avoids discoloration of hair as well. Yogurt is a natural moisturizer for hair that helps in keeping the scalp clean as well as hair conditioned from deep within. This leads to giving you strong and silky tresses. Egg is loaded with proteins that help in strengthening hair roots. Castor oil for hair loss can be teamed up with the humble egg to ward off hair fall. Castor oil for hair fall can be best teamed with the help of honey as it nourishes the scalp, encouraging the healthy growth of new hair cells, reducing damage. Beer is known to be loaded with anti-oxidants that keep the hair shiny and bouncy. The vitamins and proteins present in malt in the beer help in repairing damaged hair and boost overall hair texture.